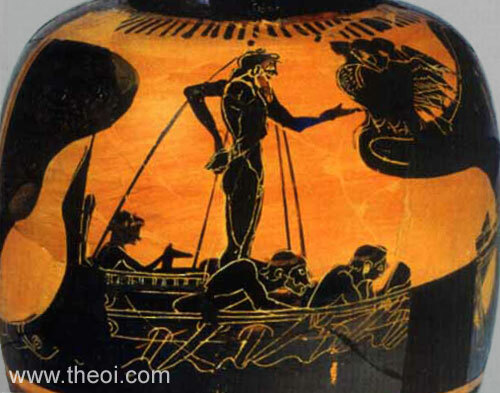 The ship of Odysseus sails past the rocky island of the Sirens. The hero listens to their song tied to the mast of his ship. The Sirens are depicted as three women-headed birds sitting on a rocky outcropping.